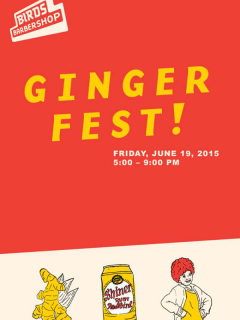 Birds Barbershop is marking the opening of its newest shop at Highway 183 and Anderson Mill with Gingerfest, a special event to celebrate all things redheaded. Every ginger who attends – young, old, natural or faux-naturale – will be given a coupon for a free Birds Barbershop haircut at the new shop, as well as access to the special "Red Zone" VIP area. Everyone (no matter your hair color) can enjoy live music, fun activities and free treats, such as Shiner's Ruby Redbird.